Bob Howard, the CEO and founder of Sales Overdrive is a recognized call center coaching specialist. He has been managing call center operations as an integral part of the Sales Overdrive sales process over the past 15 years. 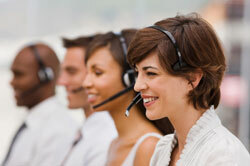 Currently Sales Overdrive has call center operations in the Philippines, the US and Mexico. The development of a successful call center is a lot of work. Agents have to have good morale, which means hiring good reps to start with and then applying good motivation techniques. Once you have good reps in place, then you’ll want to track and monitor the quality of calls and the success rates of your agents. You’ll want to consider which coaching methods are most suitable to your team and market and determine optimal call center coaching methods. As nationally recognized sales leaders with a considerable part of our process revolving around call center sales, we’ve become experts in call center management and training. Not only are we users of our own product, but we also implement call center operations for our clients. From customer relationship management, to virtual assistance, to B2B lead generation and appointment setting, we have experience across the board. We even have company that specializes exclusively in virtual assistant and call center outsourcing services. Call us today to see how Sales Overdrive’s call center coaching methods can improve your business.